What a fun show at the Warper Party. There were modular synths (heaven), fun dance beats, a cool crowd, and a true community vibe. I'm so glad I didn't wait until the summer to start performing my new set live. People were singing along to my new songs and dancing. Hell yeah! People also bought some double-finger rings (inspired as Django Reinhardt practice rings) & journals that I sell on my Bandcamp merch page. I feel light, excited, grounded, and lifted at the same time. I'm currently in the studio working on writing my new song Little Secret. I went live yesterday and shared some of the songwriting process for it. Watch the video on YouTube here. To follow along with the daily flow and to check out the Brooklyn underground and popular music and arts scenes, check out my Instagram stories. Lionheart, is it one of your lifelong dreams to be a singer and a songwriter? Deep down, are you meant to record an album of you singing your original music and then perform it? I want to invite you to Set Your Life To Music. 3 months of 1:1 weekly lessons. Have a songwriter's toolbox to create something and take it from start to finish. 3 months of 1:1 weekly lessons plus 3 mini intensives. Write your 4th song for your dynamic EP and live set. Rehearse and fine-tune your songs for recording and performing. Mindset and accountability. Spiritual connection. Create your dream and build momentum within a fun, relaxed, and experienced professional support system. Live out your dream and record your original music. Get in the studio and in the booth. 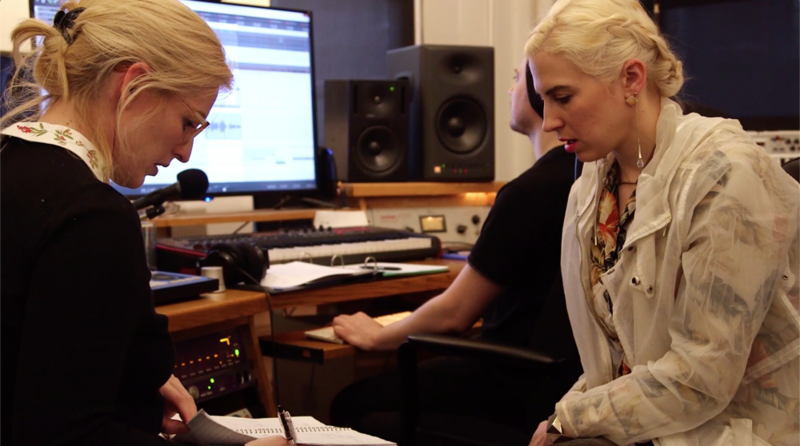 Feel the world melt away as you sing, arrange, produce, and create in the studio. Have physical and/or digital music - CDs, vinyls, USBs, and your music on streaming platforms including Spotify, Apple Music, SoundCloud, and more. Have professional counsel on what to do to get your music out to the world and in what order so that you don't have to guess, feel lost, and/or waste time and money. Life-changing. Worth it. You're vibrant. You're fulfilling your calling. Life without regrets. Your world will never be the same. You're glowing. You're alive. Perform for friends and family. Live out your dreams as a touring artist as you perform your music at open mics and shows during your travels. My student Lee and her kids Ava and Rowan are performing their original music and covers in New Orleans during their family vacation this week. Ava and Rowan have incredible memories and experience to build upon, and Lee shows what it is to love - to love oneself and one's family. I've been going live Monday - Thursday at noon EST on Instagram and Facebook and sharing quick tips around the songwriting process. If you aren't able to be there live, you can catch the replays on YouTube. The videos are on the Set Your Life To Music playlist. If you are able to join live, I have a special opportunity for those joining live. You won't want to miss it. Today, I gave a guided visualization meditation. WATCH THE MEDITATION HERE. I had a meeting with my mentor yesterday about expansion. Question what you know to be true. Collapse the timeline. Ask better questions in order to receive better answers. Just because you haven't done it before doesn't mean it doesn't exist. Consider: where was the chair you're sitting in before it was made? Today, I behold all of the abundance that surrounds me. The core of my being is the ultimate reality. Today, I focus on what I want to attract into my life. From this moment forward, I invite unlimited abundance into my life. P.S. This April, I'm hosting Open Studios and a Masterclass Series for Set Your Life To Music. I'm taking your questions LIVE during the masterclass and have a special bonus for you if you stay until the very end.